A unique feature of the NCBA is its headquarters, Domus, an exquisitely designed representation of feudal architecture, located in Mineola, New York, the Nassau County seat. Domus features the Great Hall, meeting and conference rooms, and a fine restaurant where members can meet with colleagues and clients outside the courtroom. It is one of only four bar associations in the country that has its own building with in-house dining facilities. Lunch is served five days a week in Domus’ attractive, traditional style Dining Room from 12:00 noon until 2:00 p.m. The menu features a daily hot buffet and salad bar, as well as a moderately priced a la carte sandwiches and salads. Download the Menu for the week of March 4, 2019. Domus is also available for business meetings and private events. Esquires Fine Dining offers a complete range of services, including cocktail receptions, buffets and formal sit-down dinners. 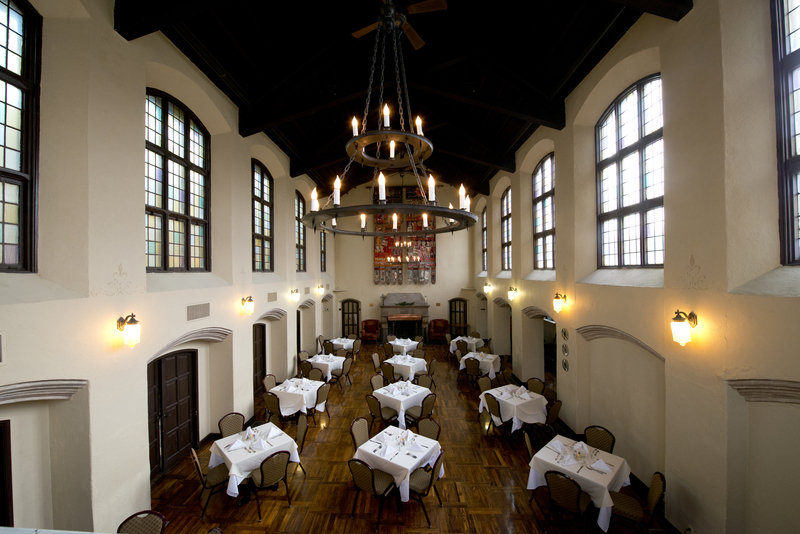 Catered events are held in the Main Dining Room for large parties or the Great Hall, Founders Room or Board Room for more intimate events. Contact Esquires Fine Dining at (516) 328-7572 to hold your next celebration right here at the Bar Association.